The University of Washington has policies and programs designed to help academic personnel balance productive academic careers with satisfying personal lives. Our goal is to support employees through the various stages of life. If you are a new faculty member whose spouse or partner is looking for employment, the University can provide informal assistance. You can start the process by asking your unit director/chair or dean/chancellor’s office to help you identify appropriate jobs at UW. Additionally, here is a list of resources for a self-directed job search in the Seattle, Tacoma and Bothell areas. The UW Career Center on the Seattle campus offers limited fee-based services to the general public. The center’s website has a wealth of information about local employers and employment resources. Greater Washington State Higher Education Recruitment Consortium (HERC) – Job board lists the faculty, staff and executive jobs in the region. Childcare is a very important benefit to our employees with children. For information on various options for childcare, please visit the Childcare page of the Benefits and Worklife division of UW Human Resources. 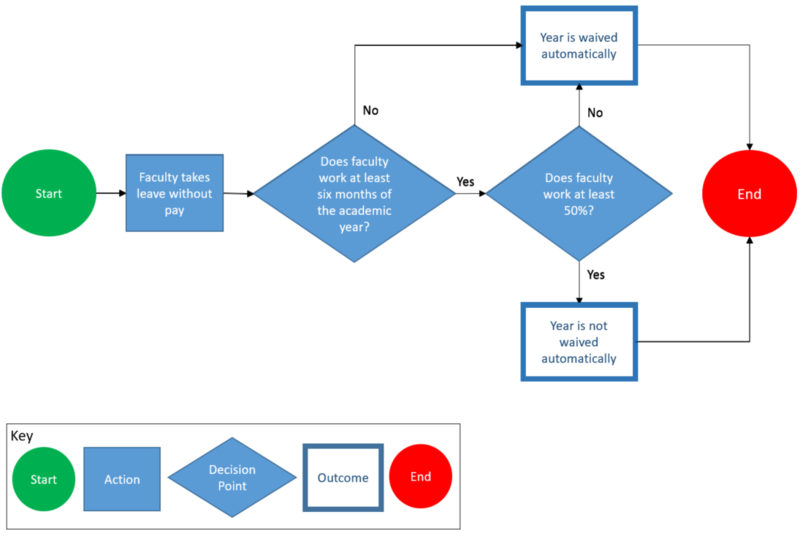 Under special circumstances, such as increased family care responsibilities or a personal serious health condition, a faculty member may be able to temporarily stop their promotion/tenure clock. Generally, a year in which a faculty member or librarian works 50% or more for six months or more will count toward the promotion/tenure review clock. If the faculty member works less than that, the year will automatically be waived and will not count toward the promotion/tenure review clock. If life events have interrupted the regular dedication to teaching or scholarship, but the faculty member has maintained 50% employment, she or he may request that the year be waived from the promotion/tenure clock. In the case of the birth or adoption of a child, the faculty member is automatically eligible to waive a year from the promotion/tenure clock, with a possible extension of a second year. A faculty member can waive a year from the promotion/tenure clock by submitting the waiver through his or her department chair and Dean’s Office to the Office of Academic Personnel. Autumn Winter Spring Summer Year Automatically Waived? In all cases, the mandatory review for promotion/tenure must be made during the last year of the second appointment term. For specifics regarding other promotion/tenure-eligible appointments, use the information found on the Job Class Codes page to determine exact timelines. UW CareLink offers a wide range of services that can help you manage through the different stages of life, develop a healthy lifestyle, maintain resilience, create a quality work environment, and save time by providing easy access to trusted experts, including counselors, attorneys, financial advisors, and eldercare consultants. Services are available nationwide for benefits-eligible UW faculty and staff, their dependents and household members. In addition, faculty and staff may include in the counseling session anyone who may be involved in their issue, such as a friend or relative.